Did You Know? There's A Goa-Style Shack Already In Mumbai! 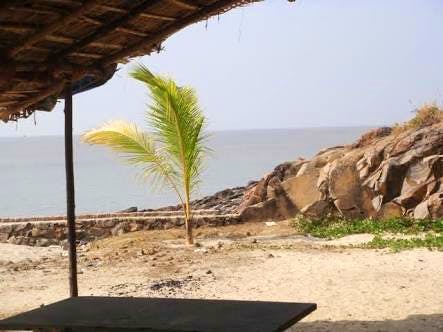 If you are wondering why Goa is so far from Mumbai, then Darya Kinara in Bhayandar is the answer to your question. This place is a Goa-style shack restaurant which offers great sea view, affordable food and the best part is you can bring your own booze. The service could be better but nobody is complaining when you have a perfect sea facing shack so near to Mumbai open till 5am in the morning. This place is open till 5am in the morning so call your friends and drive to Bhayandar Darya Kinara so a relaxed evening with loads of drinks in your car boot. Bring your own booze, it's better and cheaper.